Does termite damage worry you? If so, you are not alone. Every year termites cause billions of dollars in structural damage. 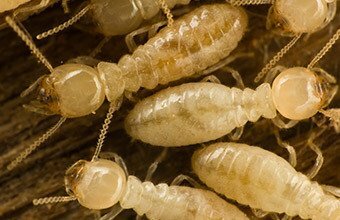 When it comes to termites, it can be difficult to know when you’ve got an infestation and what requires professional service. We look for various signs of termite infestations when we conduct our free termite inspections. These signs include discarded wings on floors and window sills. Also, the presence of mud-colored tunnels is evidence that termites have entered the home. 1. 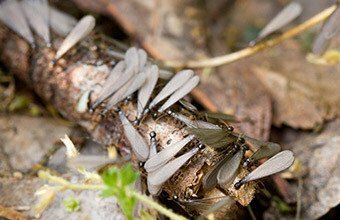 Termite Bait Stations – Our certified technicians will install monitoring stations every 20 ft. around the perimeter of the home. We will then check the stations quarterly. 2. One Time Termite Treatment – We will trench and drill around the house to kill all active termites, to destroy the active termites. This service comes with a 10 year warranty. Any treatments applied after will be based on linear size of house. The service was awesome!! Steve went out of his way to answer all my questions, even the silly ones! He really knows his stuff that is for sure! I would most definitely recommend this company!! And the price was amazingly affordable! I will definitely call them again, but really hoping I don’t have too, but if I need any other service they offer Healthy Home will be my first call! Very prompt, friendly. Will talk you through the entire process will make suggestions. Dog friendly products.